For further information on how we can help you organize your trip to the area, please see our travel website: travel.marojejy.com. Anjanaharibe-Sud offers an outstanding wilderness and cultural experience for those in search of rugged adventure. The reserve is open year-round. Although it can be rainy at any time of the year, the driest months are generally September to November, and April and May. A new fully equipped campsite called Camp Indri (see below) has recently been established and can be reached within 1 day from Andapa (drive 90 min from Andapa to Andasibe Mahaverika, then walk 2 hours to Befingotra and another 3 hours to Camp Indri). It is easiest to organize your visit through a private tour operator (especially for first time visitors) although experienced visitors are free to organize their own trips. Private tour operators may be able arrange motorcycle taxis which can greatly reduce the amount of walking. Fees and entrance tickets must be paid before entering the reserve at the park headquarters (MNP) in Manantenina and Andapa. 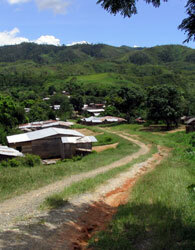 An official guide is required and can be obtained in either Andapa or the village of Befingotra; porters can be hired in the villages of Andasibe or Befingotra. It's also possible to take a guide from the Marojejy NP but you still must take a local guide from Befingotra. 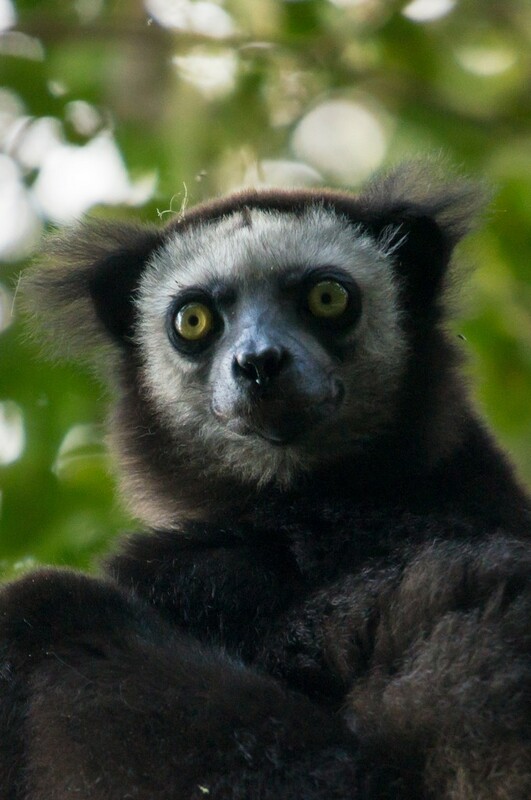 Camp Indri was completed in 2016 by Lemur Conservation Foundation, although Madagascar National Parks (MNP) manages the reserve and the camp. Considerable new infrastructure exists at Camp Indri now including: Toilet and shower buildings, covered dining area, four covered tent shelters, covered picnic table, running tap water, and a storage building with all cooking supplies. Tents and sleeping pads are also freely provided from the storage room, though visitors must bring their own sleeping bags as it can be chilly at 900 meters of elevation. Several groups of Indri are found near the camp as well as one group of silky sifakas. A beautiful small river (Andranomena) is just below camp, and the new covered picnic table has been built on its shores. Most people leave Andapa early in the morning and arrive at Camp Indri in the afternoon. From Andapa it is about 90 minutes on a bumpy road to Andasibe Mahaverika, where porters are organized. From Andasibe Mahaverika, it is about 2 hours walking to Befingotra where porters are changed, and then another 3 hours walking to Camp Indri. It is possible to reduce the amount of walking by organizing motorcycle taxis (but in this way, you choose mechanics instead of people). If necessary, it is possible to stay overnight in Befingotra. Several "hotely" in Befingotra and Anjiamazava offer good, basic Malagasy food and beds in very simple, traditional, shared rooms. A variety of accommodation, ranging from basic to comfortable, is available in the town of Andapa. 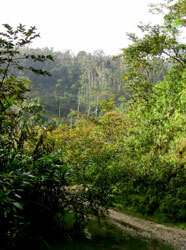 Hiking in the reserve ranges from relatively easy to very strenuous, and includes several trails. First you need to reach the vilage of Andasibe-Mahaverika around 20km from Andapa, via Ambodipont. It's necessary to rent a car, a small one or a 4x4 to reach the place. The taxi-brousse will only drive the passengers to Ambodipont and there will be 3km left to be walked. The road to Marolakana inside the reserve is no more accessible to cars, you will need to walk. Once arrived at Andasibe-Mahaverika, you have to make a team of porters so they will bring all the stuff to the camp. Infrastructures there are getting better and better. There is still around 15km to walk, a nice walk that takes almost one day. We advice you to stop by the village of Befingotra for lunch, there is several local restaurants where you can get a good plate of rice. If we consider than one day is a good timing to get there so it's the same for the way back, in this case it's good to spend at least two other days there to make a 4 days / 3 nights stay. Of course, you can stay longer. 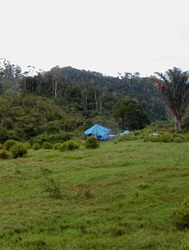 The Ranomafana Trail leads 4.3 km from the road near Mandritsarahely Creek to several small hot springs, one of which is a sacred site used to worship the ancestors. The trail meanders through dense rainforest, then passes a short distance outside the reserve through the tiny village of Andranomafana before crossing the Marolakana River to the hot springs. White-fronted brown lemurs (komba) are commonly seen along this trail, with the possibility of spotting indris (babakoto) and silky sifaka (simpona) as well. Although not long, this is a fairly strenuous trail due to its primitive state, a difficult river traverse, and the abundance of leeches. The road crossing the reserve. The Takhtajania Trail climbs a ridgeline to a site where the very ancient and rare species of tree called the takhtajania grows. In addition to seeing the takhtajania, it is also possible to see indris and silky sifaka, as well as red-bellied lemurs. This moderately difficult trail passes through open forest, often abloom with flowers, and affords many beautiful vistas overlooking the seemingly endless waves of rainforest-covered mountains. This is the rainforest, so be prepared for rain, no matter what the season. Bring good raingear, and pack everything in waterproof bags. Sturdy sandals are sufficient if walking only on the main road through the reserve, but good boots are essential when hiking on trails through the forests. Lightweight clothes are best for daytime travel, but evenings can be cool and an extra, warmer layer may be needed. As there is no accommodation within the reserve, you must bring your own tent and sleeping bag. Food should be purchased in Andapa. Good water is found in streams throughout the reserve so there is no need to carry bottled water; however, filtration and/or purification tablets are always recommended. Mosquito repellent will keep the mosquitoes at bay, and long pants tucked in socks will help to repel leeches. There are no dangerous animals (other than rare scorpions) in Anjanaharibe-Sud. You can feel the Indris everywhere, you can hear them but watching them is more... challenging. Often called the “rice basket” of northeastern Madagascar, the vast, flat Andapa Basin is an emerald-green expanse of rice fields. It is surrounded on all sides by the high mountains of Marojejy, Betaolana, and Anjanaharibe-Sud, and is dotted throughout by small, picturesque villages. The town of Andapa makes a good base for exploring the basin by foot or by bicycle, and the small private reserve of Antanetiambo, owned and managed by local environmentalist Mr. Rabary Desiré, offers an excellent introduction to the very unique natural and cultural histories of the area. 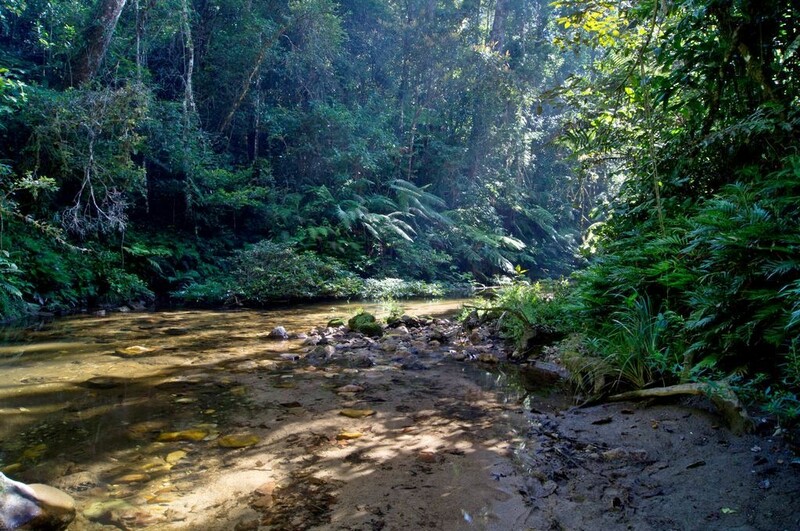 The magnificent Marojejy National Park lies just to the northeast of the Andapa Basin and can be accessed from the village of Manantenina, 40 km from Andapa along the road to Sambava.